This series of tutorials, as it says, is meant specifically for the beginner. 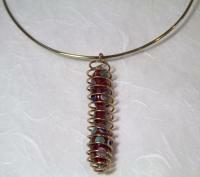 These tutorials will present the sequence of skills that one needs to acquire as a novice wire art jeweler. One of the biggest problems I've noticed with some of my students is that they become frustrated mainly because they haven't had any training in basics. 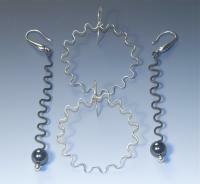 Before you can move forward producing attractive wire art jewelry, the first thing you need to learn is how to manipulate the wire and get comfortable with the "feel" of various different wires. 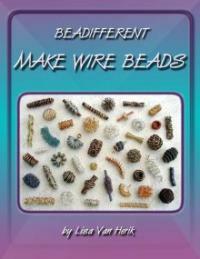 You need to know, first hand, how different types of wire perform. Again, the tutorials in this section will help you learn those things.